Contact us if you are interested in becoming a Mason. be willing to submit to a background check, and personally meet with a representative of our fraternity. Freemasonry is proud of its philosophy and practice of "making good men better." Only individuals believed to be of the finest character are favorably considered for membership. Candidates with pending criminal charges and/or extensive criminal records will not be considered for membership. Every applicant must advocate his belief in the existence of a Supreme Being (atheists are not accepted in the Fraternity). 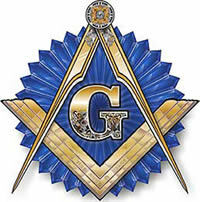 This web site approved by The Grand Lodge of Ancient Free Masons of South Carolina, MWB William B. Rogers, Grand Master.